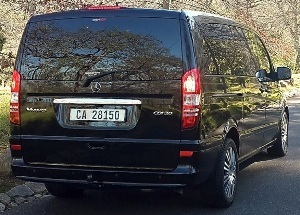 Mercedes Viano Car Hire Cape Town. 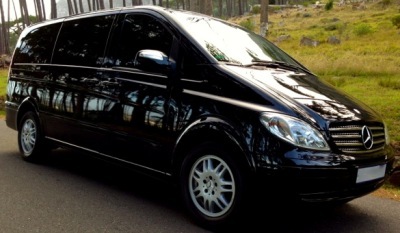 MERCEDES VIANO HIRE RENTAL TOURS. 3.0L CDi Ambiente 2013 RHD. 7 assengers (6 rear 3/3 configuration plus 1 upfront) plus driver. Additional R600 for more than 30kms from Cape Town Central. 200km free R7 /km thereafter. R5000 or 5% insurance excess. Delivery available 50km radius of Cape Town CBD. All vehicles arrive washed and unbranded with a full tank of gas. SPECIAL! R5500 excluding meals, tolls and entrance fees for up to 6 persons. or Cape Peninsula and Cape Point Tour. SPECIAL! R8590 excluding meals, tolls and entrance fees for up to 7 persons. Mercedes Viano 2.2 CDi Ambiente Deisel 2011 Car Hire. 6 passengers (5 rear 2/3 configuration plus 1 upfront) plus driver.